If your kids have Macs or iOS devices, you probably don't want them to be able to download just anything. You can use Intego ContentBarrier to choose specific categories and key words for content that you feel is inappropriate for their age. But if you allow them to access the iTunes Store and the Mac App Store, you may want to limit what they can download from those apps. Here's how to set parental controls for the iTunes Store and the Mac App Store on Macs and iOS devices. Let's begin with the Mac App Store, since it's a single app, and it's just available on Macs. The only option you have with this app is to block it entirely. You can do this in Intego ContentBarrier, or you can do it in the OS X Parental Controls preference pane, if you've set up a profile for you child on their Mac. To do this in Intego ContentBarrier, select your child's profile, click Blocked Applications, then check Only Allow Selected Applications to Connect to the Internet. Click the + icon to add applications; add the ones you want, but don't add the Mac App Store. Note that this means you'll have to log in to your administrator's account to be able to update apps, and OS X itself, through the Mac App Store. 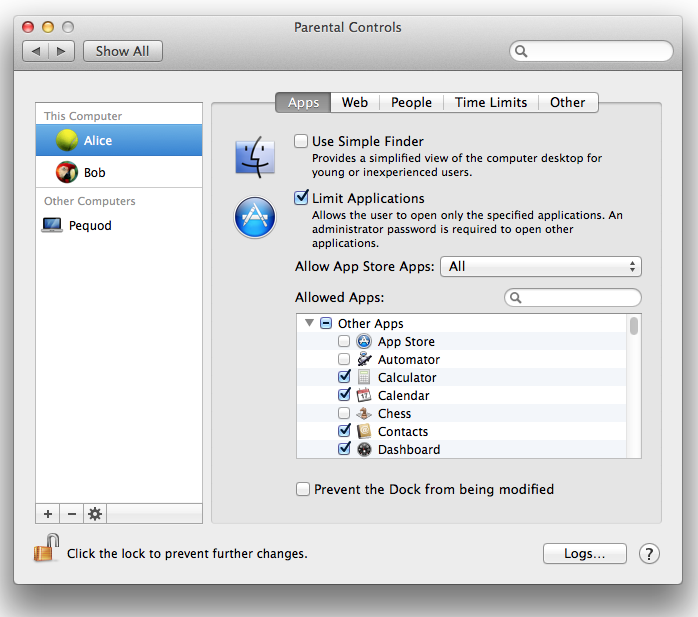 To do this with OS X's Parental Controls, open System Preferences, then click the Parental Controls icon. Click the lock to access the settings and enter your administrator's password. Select your child's profile, then click Apps. Check Limit Applications, then click the triangle next to Other Apps in the list. Uncheck App Store. 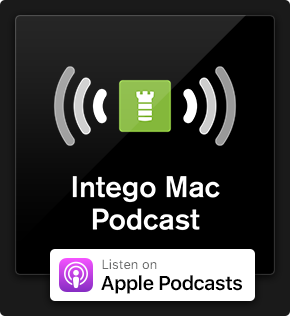 As with the first solution, you'll need to log in with your administrator's account to update or download apps or OS X through the Mac App Store. 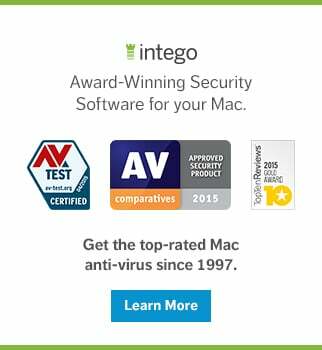 RELATED: How Does Intego ContentBarrier Compare to Mac OS X's Built-In Parental Controls? iTunes offers a broad range of parental controls; you can access these settings by choosing iTunes > Preferences, then clicking the Parental icon. You must do this in your child's account for it to apply to them; this setting does not apply for all the users on their Mac. These restrictions block not only those types of content from the iTunes Store, but also from iTunes in the cloud and from shared libraries, which is useful if your child, for example, takes their Mac to a friend's house and accesses their library. When you're finished, click the lock to prevent anyone from changing your settings, and then click OK. 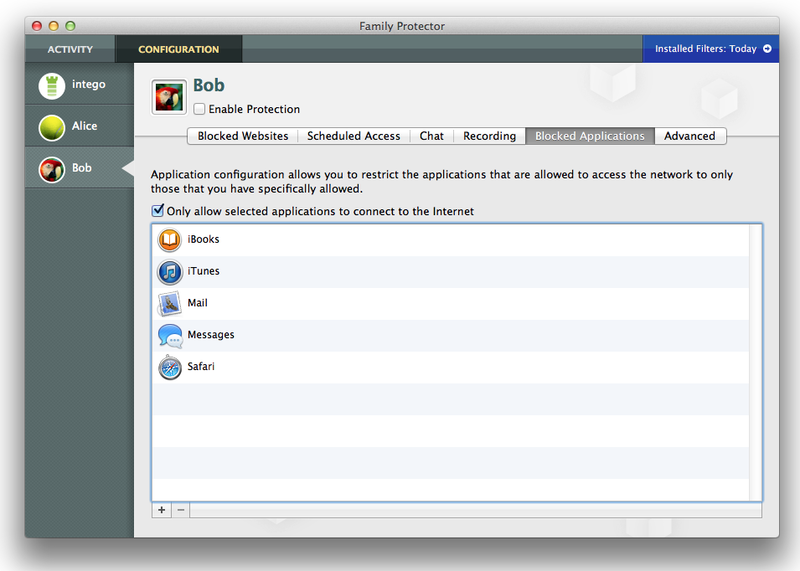 If you set parental controls on your child's Mac, you'll want to do the same thing on their iPad, iPhone or iPod touch. To do this, start by going to Settings > General > Restrictions. 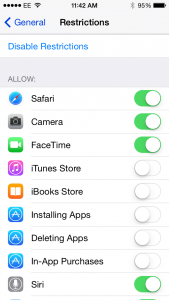 If you tap Enable Restrictions, you can choose to block all access to the iTunes Store and the iBooks Store, or to selected other apps or activities. You'll be asked to enter a PIN when you enable these restrictions; make sure it's a different PIN from the one your child uses to unlock their device. For more granular settings for the iTunes Store and App Store, scroll down a bit on the same screen. In the Allowed Content section, you have many options for limiting access to specific types of content. First, the Ratings For menu lets you choose the country whose rating system you want to use. 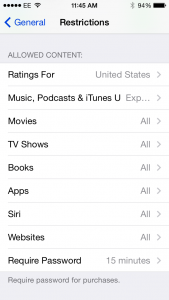 Music, Podcasts & iTunes U: You can choose to block explicit content. Movies and TV Shows: You can allow specific ratings, or all movies and TV shows. For example, if you want your child to be able to download or view G and PG movies, check those two ratings, and uncheck all the others. Books: You can block books with explicit content. Apps: You can choose several age ratings - 4+, 9+, 12+, 17+ - or Allow All Apps. Siri: You can block explicit language and web search content. Websites: You can allow all websites, limit adult content, or only allow specific websites. Require Password: This is the time limit which allows a user to re-download another item, or an in-app purchase, after an iTunes Store password has been entered. By default, this is 15 minutes, but you might want to lower it to prevent your child from downloading apps right after they've asked you to enter your password. You may also want to scroll down a bit more, and see some Privacy settings, which let you limit such things as Location Services, and which apps can access Contacts, Calendars, Reminders, Photos, the microphone, and more. Below that are settings that let you prevent changes to things such as accounts, cellular data use and the volume limit. And, finally, there are some Game Center settings at the very bottom of the screen. It only takes a minute to activate these settings. When you've done so, you can have some peace of mind knowing that your kids can't access inappropriate content or purchase apps without your permission via Apple's iTunes Store and the Mac App Store. This entry was posted in How To, Recommended and tagged App Store, Apple, iOS, iTunes, iTunes Store, Mac, Mac App Store, OS X, parental controls. Bookmark the permalink.